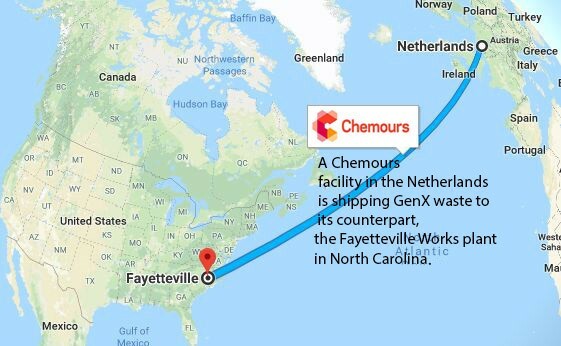 Chemours has “historically recycled” GenX waste at its Fayetteville Works plant that originated from the company’s facility in Dordrecht, Netherlands, a spokeswoman confirmed Friday. The purpose of exporting the material “is to reduce that quantity that is emitted or becomes waste,” Chemours spokeswoman Lisa Randall said. “The re-importation of material from Dordrecht for responsible recycle is not something new,” Randall said, and has been occurring for about five years with EPA approval. As Policy Watch first reported Friday morning, the EPA is seeking additional information regarding the current shipments of waste and management of GenX compounds recovered from the Netherlands site and exported to Fayetteville. The agency has issued a Notice of Temporary Objection to further exports of the material until it receives answers to more than a dozen questions about the nature and handling of the waste. A senior attorney with the EPA is asking the Dutch Ministry of Infrastructure, Water and Environment to forward its inquiries to the Dordrecht facility, including question about the contents of two waste streams. According to DEQ documents obtained by Policy Watch, the EPA initially knew of only one waste stream and is unclear whether the two are combined, how they are sampled and where this occurs. Kreisler also wrote that the EPA intends to contact the Fayetteville facility about both the international imports and any domestic shipments from other US generators of GenX compounds. It’s unclear if that has happened, because the government shutdown occurred shortly after the letter was written. EPA workers are furloughed and can’t be reached for comment. Dutch documents show that Chemours applied to export 90 metric tons — equivalent to 99 US tons — of GenX waste to North Carolina in 20 shipments from Nov. 11, 2016 to Oct. 31, 2017. .Chemours also sends GenX waste to a contractor site in Europe, Randall said. The EPA is also seeking sampling results, toxicity data and chemical composition information from the wastes before they are combined. It is also unclear if the Netherlands ships waste to other facilities in the US, and the EPA has asked for copies of international manifests detailing the shipments. 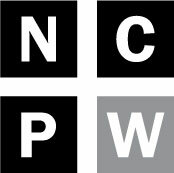 Policy Watch is filing a public records request with the Port of Wilmington in an effort to obtain similar information. Chemours recently asked the EPA to allow it to re-import materials that had already reached the now-bankrupt European recycler “for responsible recycling,” Randall said. If approved by EPA, air emissions from the recycling process would be directed to the granular activated carbon beds, and the second stage scrubber that are installed at the Fayetteville Works site. Randall said that recycling material creates fewer emissions than does making new material. Although Chemours has been re-importing the waste since at least 2014, state environmental officials didn’t learn of the practice until long afterward. This knowledge was accidental: While DEQ inspectors were onsite conducting a plant visit, a Chemours employee mentioned it. Those inspectors then informed their superiors at the agency. A letter dated Jan. 18, 2018, from DEQ Interim Director of the Division of Water Resources Linda Culpepper to Chemours says that the agency had also learned from the EPA’s Region 4 office, which covers several southeastern states, that “wastewater generated from at least one facility in the Netherlands” is being sent to Fayetteville. In that letter, Culpepper asked Chemours ten questions about how the re-imported wastewater was being generated. It’s unclear if Chemours answered the questions, but DEQ asked EPA about the issue again 11 months later on Dec. 13, 2018. When the waste arrives at the Fayetteville Works plant, it is reclaimed, according to the EPA letter. However, it’s unclear how much of the waste is reclaimed, how the process occurs, and how any remaining material is disposed of. The EPA mentions that 55 percent of the original waste is placed in containers for disposal. A letter from Chemours to DEQ sent a year ago, states that none of the wastewater from reclamation is discharged into the Cape Fear River. Instead, the discharge from the re-imported material is sent with the rest of the waste to Arkansas for incineration. The imported waste does not affect the proposed consent order, DEQ officials said. All waste, whether imported or generated onsite, are both covered under the proposed consent order. That order regulates all discharges, regardless of the waste’s origins. The US and the Netherlands are member countries of the international Organization for Economic Cooperation and Development . It has several functions, including encouraging trade and administering a control system for the recovery and import/export of waste. Member countries are expected to adhere to control procedures for waste, depending on the nature of the contaminants. Green controls, according to the OECD website are for more benign waste; amber is for waste that could be considered/is hazardous. Surfactants, such as those produced by Chemours, are classified as amber. According to the DEQ notes to the EPA, the European Union regulates GenX compounds as hazardous waste, but the US does not. That has created concern within DEQ that the exports from the Netherlands could have been intended to circumvent EU law. Randall, the Chemours spokeswoman, said that was not a consideration. However, disposal of GenX waste is a problem, both in the US and overseas. In 2017, Dordrecht government officials issued discharge permits that reduced by 68 percent the allowable amount of GenX that Chemours could emit in wastewater, according to an article in the peer-reviewed journal Environmental Science & Technology. That waste has to go somewhere besides the river. Concentrations of GenX ranging from 1.7 parts per trillion to 812 ppt had been detected in river water downstream of the Dordrecht plant. One upstream site had a concentration of 22 ppt, which the article authors theorized,could have occurred because of tidal currents pushing the contaminants in that direction. Previous article The EPA rejected the state’s reclassification of the Lower Cape Fear as a swamp. So why hasn’t it been repealed?